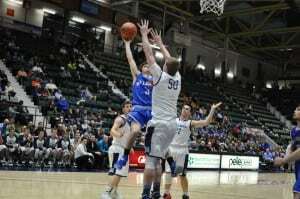 The Haldane boys’ basketball team returned to the Glens Fall Civic Center for the second consecutive season on March 11 to compete for the New York State Class C Championship in a semifinal matchup against the Moravia Blue Devils. After falling short to Lake George in the last year’s semi-finals, Haldane and its fans came to Glens Falls with one thing in mind: win. In a defensive battle of the Blue Devils, Moravia took an early 3-0 lead before the Haldane offense came alive, closing out the first quarter leading 11-3. In the second quarter, Moravia quietly came back via the three-pointer and cut the Haldane lead to 16-14 with 30 seconds left in the half. Haldane led 18-14 at halftime. After seeing both teams’ defenses battle for every loose ball, rebound and shot, the second half was more of the same: intense defense, shots not falling. With Haldane clinging to a slim 29-28 lead and less than 5 seconds to go in the third quarter, Aidan Siegel, who Haldane Coach Joe Virgadamo had just inserted in the game, hit a huge three-pointer that extended the Haldane lead to 32-28 and sent the Haldane players, coaches and fans smiling and confident heading into the fourth quarter. The fourth quarter would not get any easier for Haldane, Moravia or the fans. As both teams defenses battled and offenses failed to take charge, everyone knew it would come down to the final few possessions, and possibly, another Haldane defensive stop would win the game. With Will Zuvic (12 points, 10 rebounds) on the bench, Haldane was clinging to a 34-33 lead with 90 seconds to play. 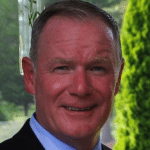 The Haldane defense would have to bring it home for their teammate and leader. As the teams traded possessions and shots continued to come up short in the final minute, Haldane senior guard David Rotando stepped to the free throw line and hit two to extend the team’s lead to 36-33 with 21 seconds remaining. 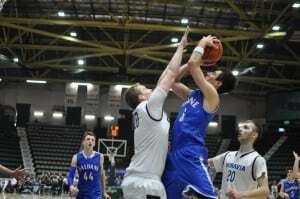 After Moravia hit its first free throw with 12 seconds on the clock, Haldane senior Nick Chiera snatched the biggest rebound of his Blue Devil career and was quickly fouled. With Haldane leading 36-34 and 10 seconds on the clock, Haldane fans could relax a bit as they had a great chance to win this game. But not so easy, it’s not their style. As Haldane failed to capitalize on the free throws, the Moravia Blue Devils had one last possession to tie or win the game. With the ball in their best player’s hands and the clock winding down, the Blue Devils’ defense had to make one last stand to make Haldane history by advancing to their first New York State Class C Championship. The defense did not disappoint. 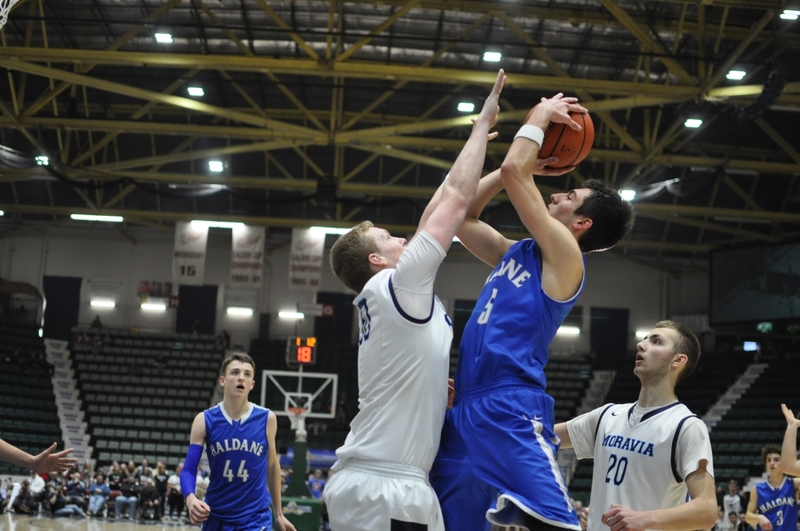 With Haldane denying the inside, Moravia attempted to shoot over a leaping Rotando. 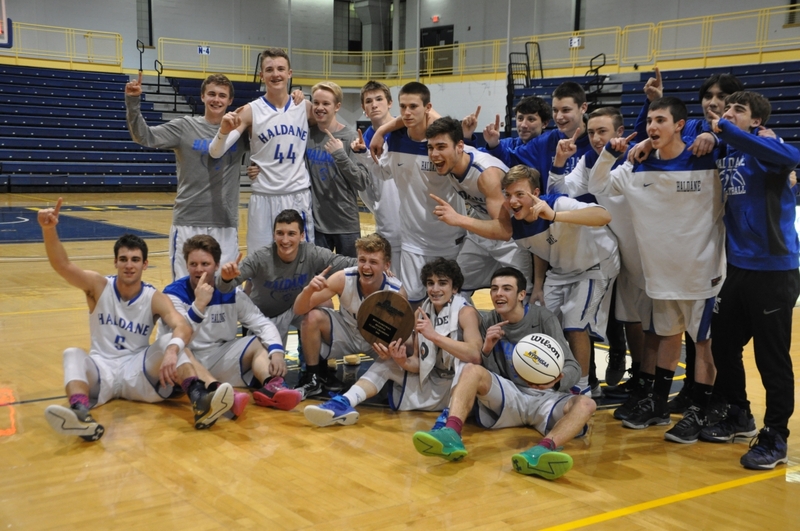 When the ball sailed to the left of the basket, Haldane players jumped into each other’s arms, coaches and fans leapt and danced in the aisles. 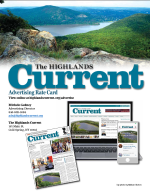 In the Class C finals on Saturday, March 12, Haldane faced a heavily favored Middle Early College team from Buffalo. Although the Blue Devils were huge underdogs going into the game, anything was possible based on the way their season was playing out. But winning was not going to be easy against a team that looked like it should be playing in the NCAA tournaments instead of the New York state high school championships. Haldane pulled out to an early 5-0 lead, their only lead, but trailed for the remainder of the game and eventually lost 82-40. The Haldane players never quit, always determined on every possession, but the opponent was playing on another level — very fast, big and hitting every shot it threw up. Virgadamo played his entire bench for much of the fourth quarter, letting all of his players share in the experience of playing in a final. Haldane players, coaches and fans held their heads high, knowing they had come to Glens Falls to win, and win they did. Coming home to Cold Spring with a second-place finish in all of New York State Class C is not a bad place to be. And who knows, maybe we get back there again next year and complete the journey. What if. Editor’s Note: Hudson Valley Sports Report has video from the championship game, and MSGVarsity from the tournament wins.